Welcome to our complete guide to the Roborovski Hamster! One of the tiniest and most adorable hamster breeds around. We’ll look at what a roborovski hamster is, how big they grow, and find out all about their personality and care requirements. Hamsters are small and cute, and they make fun pets. 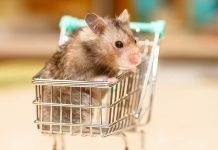 But, there are several different types of pet hamsters to choose for. So if you’re shopping for one, it’s a good idea to know what you’re getting into with each variety! Roborovski hamsters are also called desert dwarf hamsters, robo hamsters, and robo dwarf hamsters. They are one of the most popular breeds. But is a Roborovski hamster right for you? These little rodents are super sweet, but there are other aspects you should consider, such as lifespan, tameness, health, and personality. We’ll cover all the facts now! Phodopus roborovskii is more commonly known as the Roborovski hamster. They have only recently been domesticated. It wasn’t until the 1990s that they were bred as pets. Scientists are still learning about their natural history. What we do know is that these desert hamsters originally come from dry sand steppes and deserts in Northern China, Mongolia, Southern Tuva, and southeastern Kazakhstan. They are named in honor of the person who first collected them. Roborovski hamsters are the fastest hamsters. They are extremely active. Some owners have measured their robo dwarfs running 100 miles a night in their wheels! Their fur is soft and fine. Robo hamsters are scrupulously clean and perform elaborate toilets. Like all hamsters, they have cheek pouches where they store their food. These little cuties are the smallest of the dwarf hamsters. Robo dwarfs can be just one and a half to two and a half inches long. That’s super tiny! They are very cute, in part because they are so petite. Their tiny size and speed however can make them hard to handle. You’ll need to be very gentle when you pick them up and put them down, and watch that they don’t make a dash for the door when you play. Colors are limited. The ones that aren’t brown or beige have white markings. Agouti is the normal color – light brown or beige with gray roots. These hamsters look like they have white eyebrows and no dorsal stripe. White-faced robo dwarfs can be found. They are sometimes referred to as “husky” in color. Other colors exist as well, but are quite rare. Breeders may have access to Platinum Robos, with a lighter face that fades to white over time. Pure white Roborovskis exist, too. Mottled Robos, red-eyed Robos, and pied Roborovskis may also be available. Roborovski hamsters are naturally gentle, so they make good pets. However, scientists doing research on them call them un-tameable. This means that they might not try to bite you, but that they may never get used to being picked up or cuddled. Their size and speed make them difficult to control. Also, they are known as escape artists. They are nimble, lively, and agile, with nervous-looking movements. They may shy away from human contact, even if handled daily from birth. Taking care of Robo hamsters is very similar to taking care of other types of hamsters. Your Roborovski hamster must have an especially secure cage with narrow bar spacing (1/4 inch) so it can’t escape. A wire cage with a plastic bottom is ideal. Check out the best hamster tanks here. It will need lots of space to run in. An exercise wheel is also absolutely essential. Choose comfortable, non-toxic bedding for your pet, such as natural paper bedding. Give your dwarf hamsters commercial mixes that are balanced properly for hamsters. They can also have small amounts of fruits and vegetables. You should provide water, preferably via a bottle. They may not drink a lot, as they are adapted to desert conditions. You should still change the water every day, though! 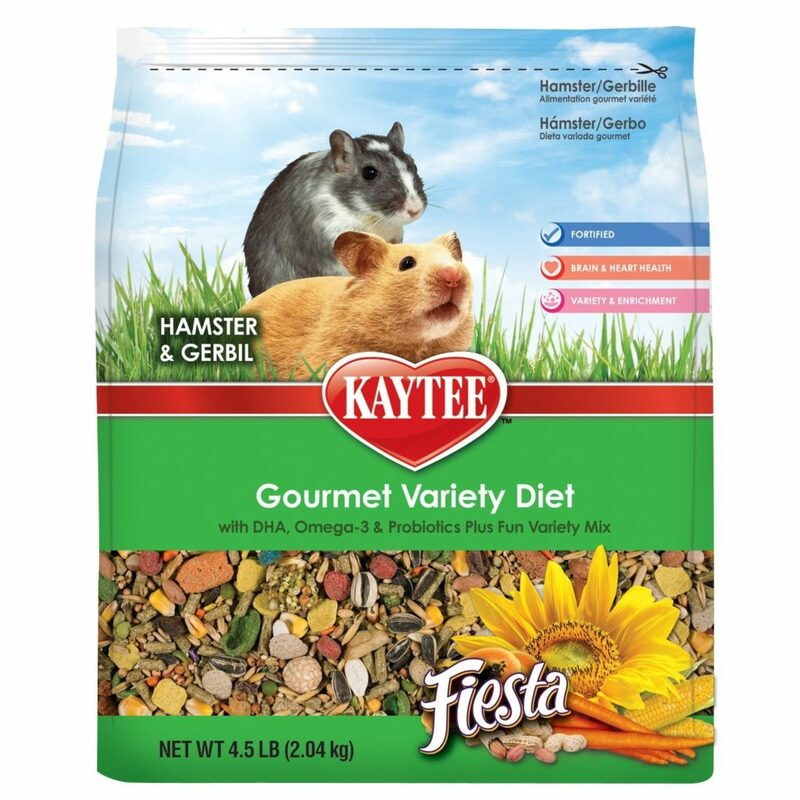 Food mixes will contain a variety of different types of food, specially formulated for hamsters. Avoid food mixes that have been formulated for other animals. About a tablespoon a day is sufficient per hamster. Remember to clear out their bed every couple of days as they will store old food there. 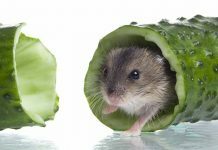 Provide fresh foods to your hamster once or twice a week. Avoid items high in water content, such as most fruits. If you feed fresh food, then clear out their food store daily to avoid rotting. Because of their desert origins, too much water content can give your hamster diarrhea. Dry or dehydrate juicy foods first if you are concerned. In the wild, roborovski hamsters eat insects during part of the year. So, insects can be fed as treats. Crickets and mealworms can be purchased at pet shops. Toys are important for the health of your hamsters. You can find a range of the best hamster toys here. Hamsters live in burrows, so they should have access to a tunnel. These simulate the burrows they live in in the wild. Their teeth are continually growing, so they need a supply of chewable items to keep those teeth in good condition. Note that chewing plastic can lead to health issues. Hamsters enjoy climbing, so having structures they can climb on is helpful. They also enjoy digging, so providing sand or bedding that can be manipulated in that way will help occupy them. A hamster ball allows them to run around your house on the floor without danger (although you should be cautious about stairs). Because roborovskis are so active, even more so than other types of hamster, a wheel is a necessity. Choose a wheel that is the proper size for the hamster. Consider one that is made up of a solid surface, rather than rungs, to cut down on the possibility of injury. As we noted, desert dwarf hamsters are considered to be somewhat untamable, though naturally gentle. However, you can get them more used to your presence, making life less stressful for the both of you. Going though the taming process has also been shown to reduce hyperactivity in Robo hamsters. First, let your hamster get used to its surroundings. Allow it a safe, comfortable place. If it feels safe in its cage, don’t keep poking it with your finger while it is in there. Then, let your hamster get used to you. Wait a week or so before touching it. Spend some time just talking gently to it and being around. Only handle the hamster when it is awake. Robo hamsters are crepuscular. So, they will be most active in the mornings and evenings, or at night. 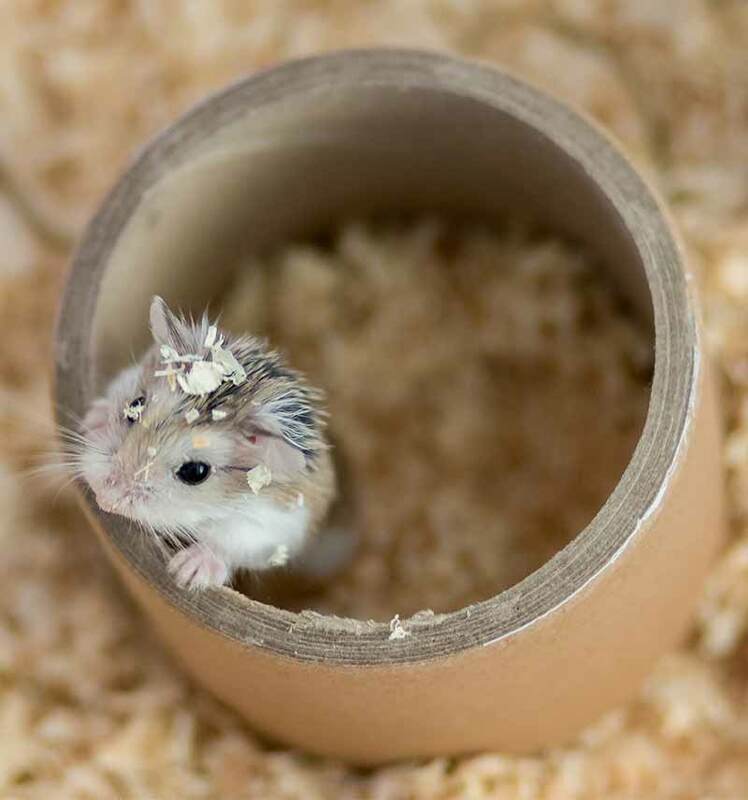 Use a different container to restrict your hamster while you are engaged in a taming session, such as a box. Do not grab your hamster. You can put your hand out to it, but mostly let it come to you. 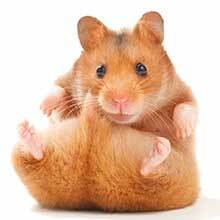 Read your hamster’s body language. If it gets agitated, put it back in its safe spot and try again. Offer treats as a reward. Taming your hamster will not happen immediately. Be patient. Play with your hamster daily. The more time you spend with it, the tamer your hamster will be. If you don’t play with your hamster every day, it may stop being used to you. Creating a strong human-animal bond is important in the care and control of your hamster! Robo dwarfs are very social. So, as long as they lived in groups while young, you may be able to pair it with a hamster of the same gender. You may even be able to have a group of them together. However, as it get older, your Robo dwarf may not be as tolerant of a cage mate. Male hamsters get along better with one another than female Robo hamsters do. If you are keeping two or more together, make sure they can each retreat to their own space with their own food, water and exercise wheel. You may wish to have a separate cage on hand, just in case. Note that just because your hamsters got along when you got them, this does not mean they always will. If you see them fighting more often, consider housing them separately. Should the fighting continue, you may also wish to take one or both to a vet to see if one is sick. If you house hamsters together, always be looking for unusual, aggressive behavior. Watch for signs such as missing fur and timidity on the part of one hamster. A less dominant hamster will constantly hoard seed in its cheek pouches. You can find out all about keeping more than one hamster together here. Robo hamsters are generally a healthy breed, and rarely get sick. However, they may experience certain health issues and injuries from fighting, from mites, and from illnesses such as diarrhea and the development of tumors. 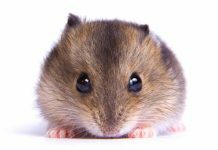 If your hamsters develop symptoms that don’t get alleviated after treatment, visit your vet! If your hamster scratches a lot, it may have mites. You’ll be able to see mites on your hamsters’ fur. They will be moving at the roots of the hairs. They can burrow into the skin as well. This, along with the mites biting at dead skin, will make your hamsters itch. Bald spots, scabs, and crusty skin may occur. Check the ears, too! You can get rid of these using anti-mite sprays and drops from the pet store. But it’s a good idea to check with your veterinarian first. In the meantime, clean and disinfect the cage and quarantine your hamster if you have more than one. Mites can transfer to humans as well as hamsters, so wear gloves! If you don’t treat it, mange can occur, and you must take the hamster to a vet for antibiotics and medication. Wet tail is more common in younger hamsters, and is caused by various types of stress. Some causes include too much early handling, early weaning, malnutrition, and unsanitary cage conditions. Stress stimulates the release of bacteria from inside the intestines, which results in diarrhea and dehydration. If your hamster develops this condition, get it to a vet immediately. Antibiotics and treatments for the diarrhea and dehydration will be required to heal your hamster. This treatment must be properly administered. This is a genetic neurological defect, and shows up when the animals are stressed or excited. There is no cure. You can minimize the symptoms, though. 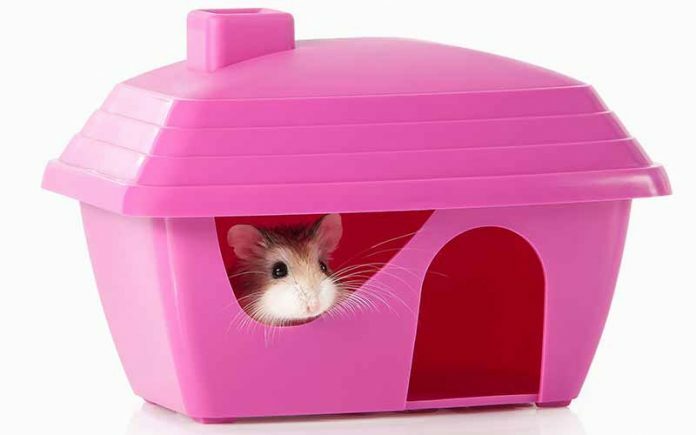 Isolate your afflicted hamster from others, and give it a safe, quiet environment. Some hamsters experience it worse than others. If you think your hamster’s quality of life is affected, you may have make some difficult decisions. Do not consider breeding these hamsters. In captivity, these hamsters may live an average of three years. Some have lived up to four years. This is slightly longer than the average for other pet hamster breeds. Baby Robo hamsters are weaned at about 19 days, and hamsters become sexually active at 4.5 months or so. They tend to breed in the summer months, with litters ranging averaging six. Should I buy a Robo hamster? Now that you know the facts about Robo dwarf hamster care, you can decide for yourself if you should get one! They are adorable pets, easy to care for. But they may not be the best for children, because they are so fast and don’t like human contact as much as other hamsters. They also may fight with one another, if you have more than one. Do you think you want a Roborovski hamster? Do you already own one and love it? Let us know in the comments! We’d love to hear about it! Elwess, N. and Bouchard, A., (2007), “Modeling in Roborovsky hamsters,” Science Scope, 30(8). Feoktistova, N., et al (2013), “Decorative forms of hamsters of the genus Phodopus (mammalia, cretinae): Analysis of genetic lines distribution and features of hair changes,” Biology Bulletin Reviews,” 3(1). Feoktistova, N., et al (2004), “Seasonal changes in desert hamster Phodopus roborovskii breeding activity,” Current Zoology, 51(1). Ikeda, H., et al (2016), “Disparities in activity level and learning ability between Djungarian hamster (Phodopus sungorus) and Roborovksii hamster (Phodopus roborovskii),” Animal Science Journal 68(3). Ross, P. (1994) “Phodopus roborovskii,” Mammalian Species, 459. I do agree Natalia! Robo hamsters are awesome, all my visitors are enchanted by mine.